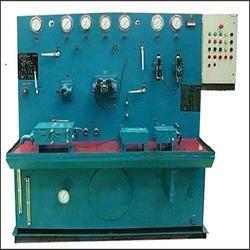 Providing you the best range of hydraulic test bench with effective & timely delivery. Being a firm working with a customer-centric approach, we have brought forward Hydraulic Test Bench to cater to the diversified industrial needs of testing components inclusive of valves, Pumps, Hoses & Fittings. Offered range is designed with features to withstand ambient working pressure. Prices offered have been kept minimal.